This elegant chandelier, designed to look like a huge vine loaded 1500 crystals “grapes”, was designed by Donald Lipski and Jonquil LeMaster. This sculptor-artist duo created the chandelier for the vineyard Kathryn Hall, a wine producer in Rutherford, California. The chandelier is called: “Chili Red“. 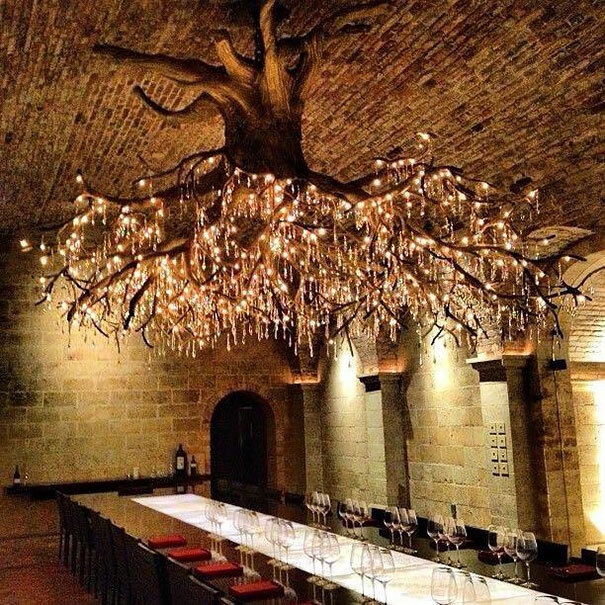 It is suspended in the cellars of the vineyard and is part of a sumptuous hall used to receive guests for wine tasting.